Shipping – we will ship your items to you at your cost – it may take 10 days to ship your items – we use a 3rd party shipping company, they will contact to arrange shipment. By purchasing any item sold by Liquidate AZ, the buyer expressly warrants that he/she is in compliance with all applicable Federal, State, and Local laws and regulations regarding the purchase, ownership, and use of the item. It shall be the buyer’s responsibility to comply with all Federal, State and Local laws governing the sale of any items listed, illustrated or sold. The buyer expressly agrees to indemnify and hold harmless Liquidate AZ. for all claims resulting directly or indirectly from the purchase, ownership, or use of the item in violation of applicable Federal, State, and Local laws or regulations. 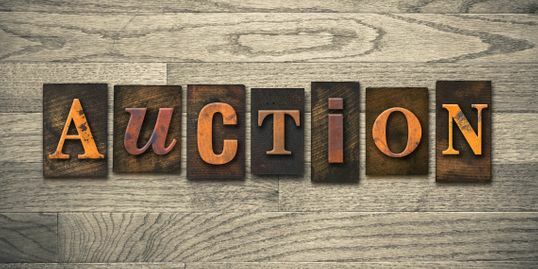 Any issues with your auctions items has to be brought up and documented at time of pickup – No refunds, exchanges, or returns will be issued after you leave the auction location.